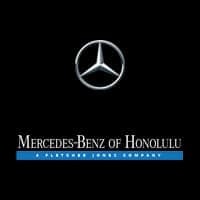 This outstanding example of a 2019 Mercedes-Benz E-Class AMG E 53 is offered by Mercedes-Benz Of Honolulu. This Mercedes-Benz includes: PARKING ASSISTANCE PACKAGE Back-Up Camera *Note - For third party subscriptions or services, please contact the dealer for more information. * You appreciate the finer things in life, the vehicle you drive should not be the exception. Style, performance, sophistication is in a class of its own with this stunning Mercedes-Benz E-Class. When the Mercedes-Benz E-Class AMG E 53 was created, it was automatically enhanced by having the performance ability of all wheel drive. Not only will you notice improved steering and superior acceleration, but you can also rest easy knowing that your vehicle comes standard with increased stability and safety. You could keep looking, but why? You've found the perfect vehicle right here.